How much do YOU want to fly high? Personal transformation takes courage, strength and the willingness to leave your comfort zone behind. When something is easy we don’t learn and we don’t grow. True growth in our life experience happens mainly through hardships and struggles, and learning how to overcome them in the best possible way. These difficulties strengthen our mind and help us to become the person we are meant to be. 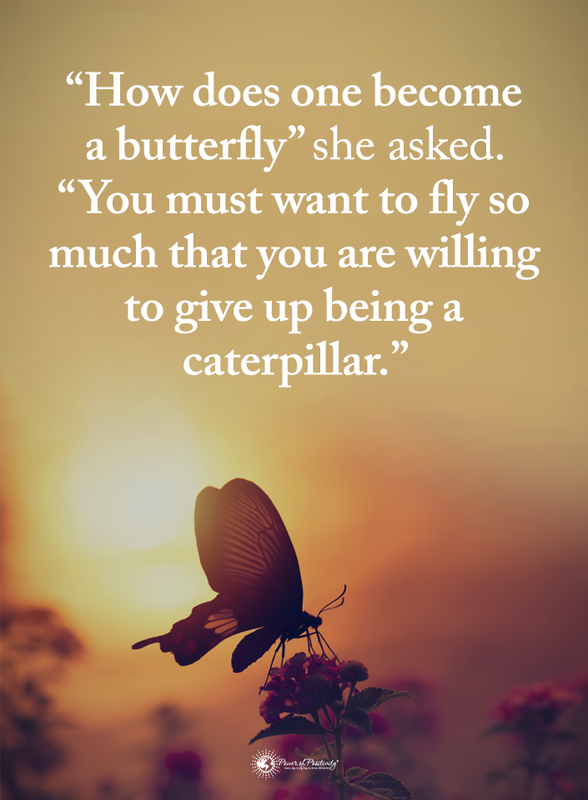 Today I would like to share “The Lesson of the Butterfly” by Paulo Coelho. I hope you enjoy this powerful message! “A man spent hours watching a butterfly struggling to emerge from its cocoon. It managed to make a small hole, but its body was too large to get through it. After a long struggle, it appeared to be exhausted and remained absolutely still.